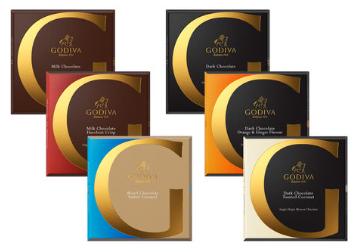 All available in store at Godiva boutiques across the UK, or online at www.godivachocolates.co.uk. 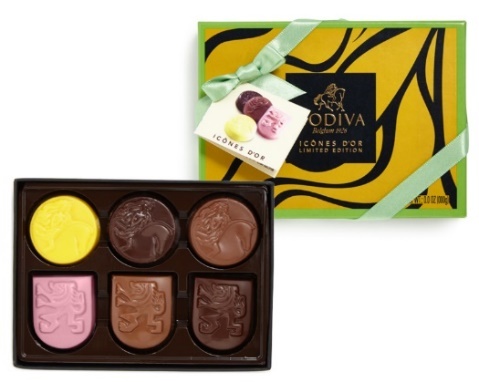 A reinvention of an iconic Godiva collection, the new limited-edition Gold Icons collection, featuring fruit and vegetable extracts, is perfect for dads who like something a little bit different. With eight irresistible flavours including intense Mexican Origin Dark Ginger and zestful White Lemon Olive Oil Ganache, the new collection is sure to impress even the most discerning chocolate connoisseurs. Available in a 6pc or 18pc box to share. Treat Dad to the ultimate chocolate gift box with this 14-piece selection combining Godiva’s finest signature pieces in white, milk and dark chocolate. 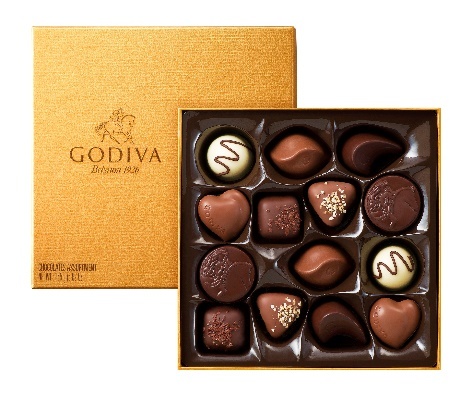 The beautifully simple gold box makes this Godiva classic a charmingly traditional gift for any chocolate lover. A delightful bundle featuring six new chocolate flavours for Dad’s who like to mix up the classics; featuring Milk Chocolate, Dark 68% Chocolate, Dark Chocolate and Toasted Coconut, Dark Chocolate and Orange & Ginger flavour, Blond Chocolate Salted Caramel, Milk Chocolate and Hazelnut Crisps. Treat the deserving man in your life to a man-sized chocolate stash smartly presented in a leather-look hamper box. Choose from a selection of hampers online or head in store to head into a Godiva boutique to create your own personalised hamper filled with your choice of truffles, bars, pralines and even a box of personalised chocolate dipped strawberries. 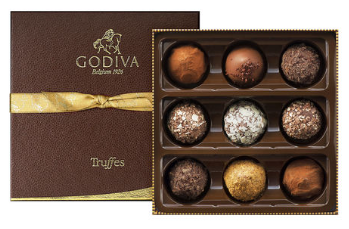 Perfect for the man with a tough exterior and soft heart – crack the smooth chocolate casing before sinking into the sumptuous softness of each truffle in this nine piece Godiva Signature Truffle Assortment box. 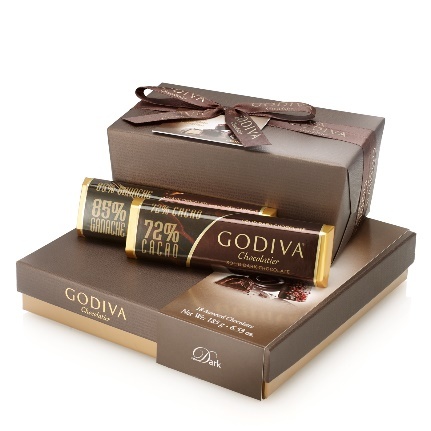 Packaged in a smart leather-look box makes this the ideal treat for the chocolate lover in your life. Express your love with this tower of iconic Godiva Dark chocolates. 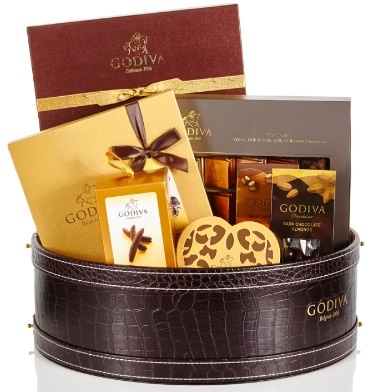 This sophisticated gift features an exceptional assortment of Godiva dark pralines – ideal for anyone who appreciates legendary Godiva Belgian chocolate and timeless style. Next Story → Gifting for Father’s Day 18th June – Go for Gold!